From the blogs at WSJ. 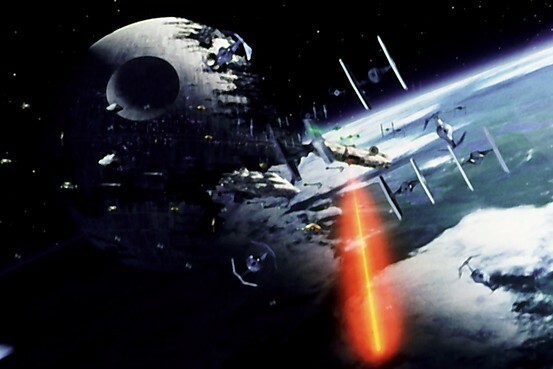 According to a recent release by the White House, the evil menace Death Star has several other practical things that make it a terrible bit of policy. According to WSJ: "The letter concludes by saying 'If you do pursue a career in a science, technology, engineering or math-related field, the Force will be with us! Remember, the Death Star’s power to destroy a planet, or even a whole star system, is insignificant next to the power of the Force.' "
As a student of history, for me it begs the question, "Why would the DOE spend billions of taxpayer dollars on a nearly perfected Integral Fast Reactor that can be scuttled in 1994 by a one-man Senate blowhard, John Kerry?"